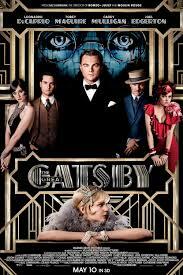 The Great Gatsby, Movie of the Summer? Whoa, hey there guys, it’s been awhile since I posted so I figured I’d upload a review I recently wrote for a class, so here are my thoughts on Chinatown. Last night, March 18 at 10:00 p.m., A&E premiered Bates Motel, what seems to be a modern day take on the teenage years of Norman Bates which is splendidly nerve-wracking and intensely spine-tingling.